Bending a structure by pulling and feel how it jumps back when you release the pull is all about flexibility. When also mass is involved the flexibility (spring) in combination with the mass will make a harmonic oscillator. We all know the bungy jump, the heavier the person the slower the yoyo (resonance) frequency will be. 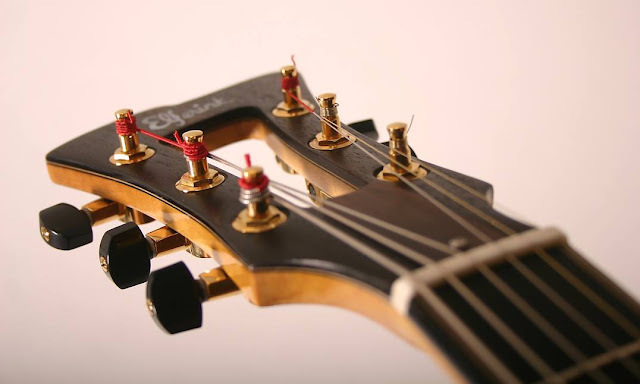 The complete structure of a guitar from headstock to the bridge is a bit flexible. It can bend like a bow (known as the mode 1 bending mode). There is also a resonance frequency for this mode, like a bungy jump, the person (mass) is formed by the headstock of the guitar. 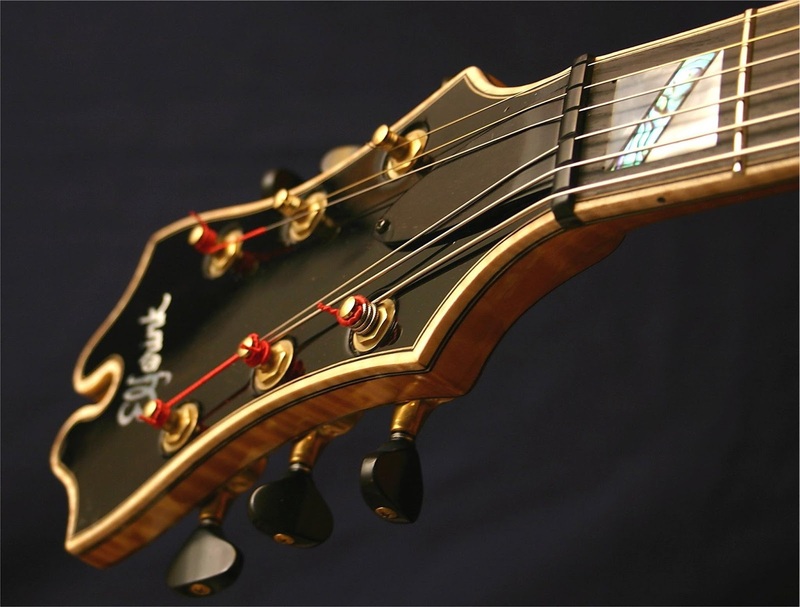 The heavier the headstock the lower the frequency of the bending mode. 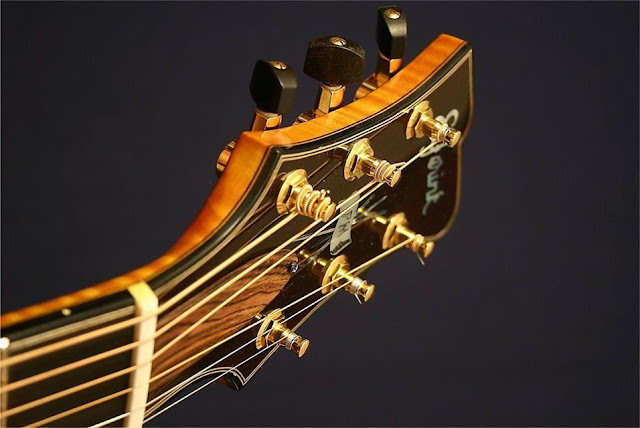 The resonance of the bending mode will enhance the deepest frequency (bass) of your instrument (there is no resonance in your instrument as low as this bending mode). It is not only audible but also the feel will be noticeable when this resonance gets lower. Through the years builders know that, and for instance the so called large flared headstocks on archtop guitars will increase the mass and will give them a very nice bottom end. 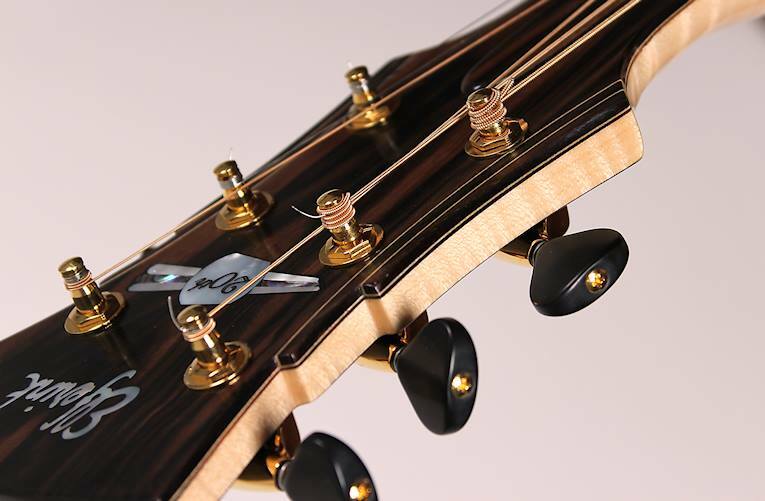 On the back of the headstock of Fender guitars there has been a period that people put a brass plate under all the tuners to increase the mass and makes the tone thicker (so called fathead). 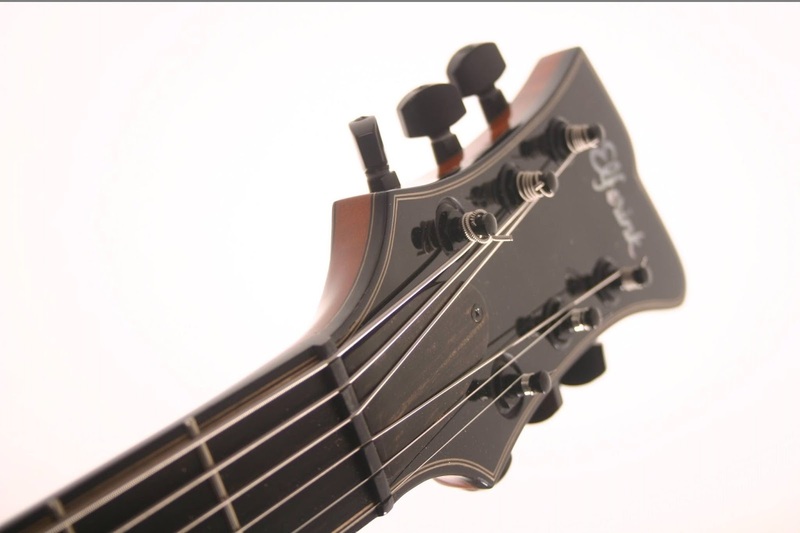 Increasing the mass of the headstock will lower this resonace; stiffen the neck with carbon fibre rods over the entire length of the neck will increase this resonance and will make a bottom less thin sounding guitar.